2.Sign up there With Facebook/Google/Email as your choice.Fill up all details. 3.After sign up you will get 60 Credits.You can see it in your dashboard. 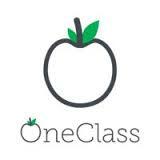 5.Copy your Referral link and invite your friend to join oneclass with your referral link. 6.You will Get 50 points on every successful refer. How To Redeem Points : Collect minimum 800 points and Redeem it for Amazon Gift Card.As one class is a foreign site so there are available many gift vouchers.So Redeem Amazon Gift Voucher. 1.Visit Here for One Class Gift Card Redeemtion Page. 2.Click on Redeem infront of "$10 Amazon E-Gift Card". 3.Enter Your name and address,Enter City "ALLIANCE" and State "ALBARTA",Enter Pin Code "T0B0A0"
4.Verification Link will sent to your mail inbox.verify it. 5.You will Receive amazon gift voucher within 10 working days. 1.Copy your main account referral link. 2.Clear your Browser Privacy Data with Ccleaner. 4.Put your Referral link in browser. 5.Register with Different Google account. 6.You will get 50 points in your main account. 7.Again Repeat 2nd to 5th steps and Collect Unlimited Points.